Ryanair says threatened European strike will be 'unsuccessful' - Integration Through Media ....! 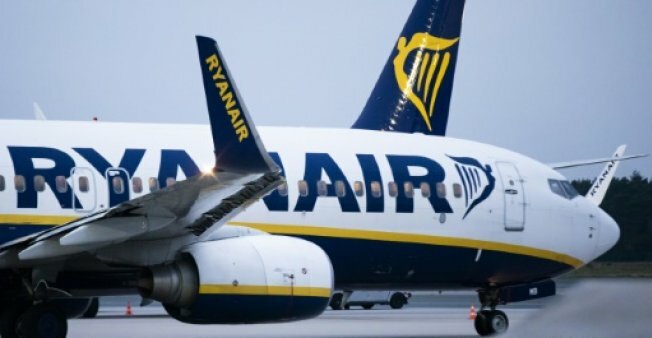 LONDON, (AFP) – A threatened pan-European strike by Ryanair staff on September 28 will be “unsuccessful” in its attempt to cause “travel chaos”, the Irish no-frills airline said Thursday. Ryanair said in a statement that it rejects “false claims made by Belgian union CNE that strike action by its small minority of cabin crew on the 28th September would cause ‘travel chaos'”, as a meeting in Brussels Thursday was set to confirm the walkout involving staff also from Italy, the Netherlands, Portugal and Spain. The carrier’s statement came a day after dozens of flights were disrupted in a walkout by German pilots and cabin crew, the latest flare-up in a bitter Europe-wide battle for better pay and conditions. “If there is a further unsuccessful cabin crew strike on the 28th September… then, as we demonstrated in Germany yesterday, Ryanair will pre-advise customers of a small number of flight cancellations, and the overwhelming majority of Ryanair’s flights and services that day will operate as normal,” the company’s chief marketing officer Kenny Jacobs said in Wednesday’s statement.